Until the end of June of 2019, the North Carolina Clean Energy Technology Center (NCCETC) will be working with three Virginia communities – Fairfax County, James City County, and the Town of Blacksburg – as SolSmart advisors to help bring down the “soft costs” on solar PV, including permitting, planning, raising community awareness and other related activities. SolSmart is a national designation program, sponsored by the U.S. Department of Energy and run by The Solar Foundation, that recognizes communities that have met goals designed to enhance and streamline solar energy development by removing local barriers. Activities involve permitting; planning, zoning and development; inspection; construction codes; solar rights; utility engagement; community engagement; market development and finance. To help communities achieve designation, SolSmart provides no-cost technical assistance from experts who work with local governments to evaluate programs and practices that impact solar markets and identify opportunities for improvement. 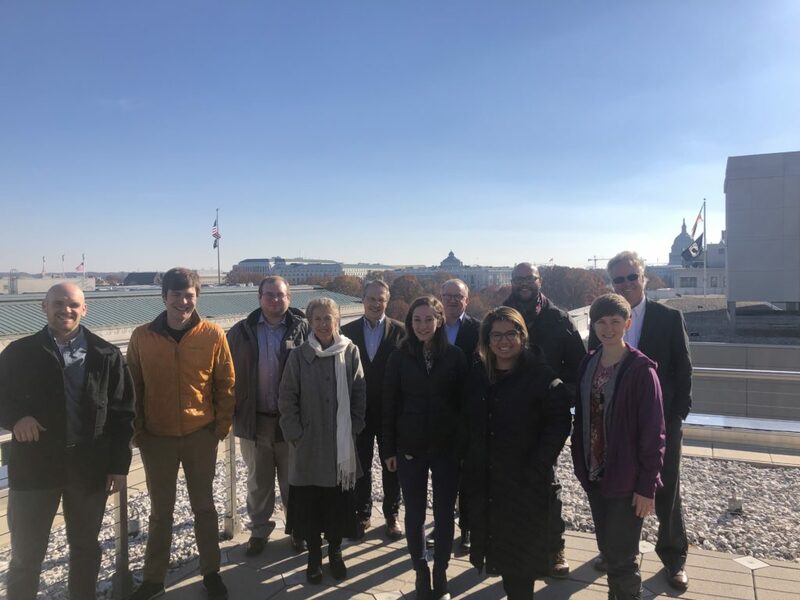 Late last year, NCCETC Special Projects Manager Anne Tazewell and Policy Analyst David Sarkisian attended a SolSmart Advisor training seminar in Washington, D.C. to help prepare them to assist communities that want to become ‘SolSmart’. Over the next six to 12 months, 20 SolSmart Advisors, including Tazewell and Sarkisian, will work closely with over 100 communities across 15 states to help them receive SolSmart designation by making it faster, easier, and more affordable for residents and businesses to go solar. “Communities may be at different stages in institutionalizing solar friendly policies and practices, but even the most advanced may have overlooked relatively simple actions they can take to become more PV friendly,” Tazewell said. In addition to the efforts in Virginia, the Center will also lead cohort-wide initiatives that include specific topics of interest to already-designated and to-be designated communities. The Center anticipates helping to distill and compare best practices, existing models/examples, and to facilitate aligned interests and discussion among the cohort communities. Center staff hope to assist in and facilitate developing a model zoning ordinance for solar, taking into account ongoing policy considerations, the results of a Virginia Tech-led convening process in 2018, local community examples in Virginia, and the scope of land use types applicable to the cohort. The Center also plans to assist in furthering the understanding and consideration of large off-site renewable energy purchases. The assistance would include facilitation of identification and alignment of the group’s interests and presenting a full review of associated procurement issues, steps and examples. “The cohort-wide initiatives are really well suited to the Center’s expertise in developing a model solar ordinance for North Carolina and helping organizations consider different options for utilizing renewable energy,” Tazewell said. In 2017, the Center also worked with SolSmart on three North Carolina communities – Orange County, Town of Chapel Hill, and Carrboro – which became designated as SolSmart Gold and Silver communities. “I love working with people and communities passionate about the same things I am,” Tazewell said. Learn more about becoming a SolSmart community at https://www.solsmart.org/. Click here for an overview on How to Become a Solar-friendly Community through SolSmart, and check out a SolSmart overview video here.